Missing the little Tailwind button in your Safari browser? Here's how to add it! Ready to start scheduling across the web? 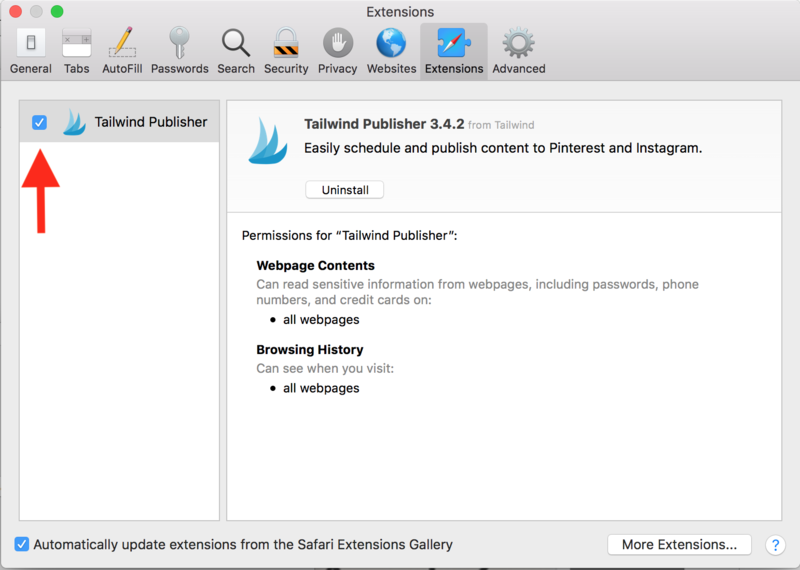 You'll want Tailwind's Publishing Extension for Safari! We've included step-by-step instructions below, as well as how to remove it and troubleshooting tips. Note: This article only contains help for the Safari Extension, please see our other articles for help with Firefox or Chrome extensions. Tailwind does not support Internet Explorer, Opera, or Edge browsers. 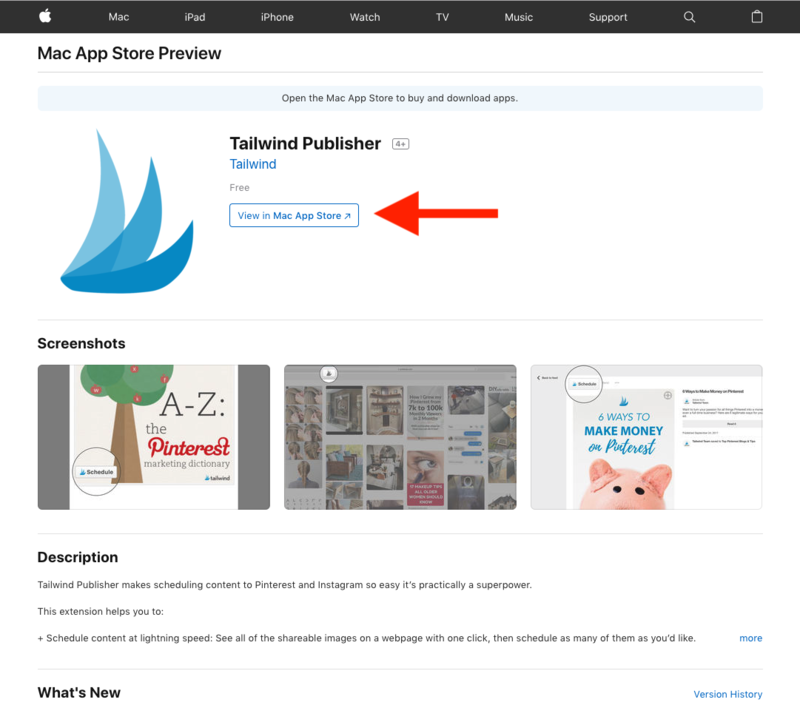 We recommend that you get the Tailwind Safari Extension from the Mac App Store. 3. 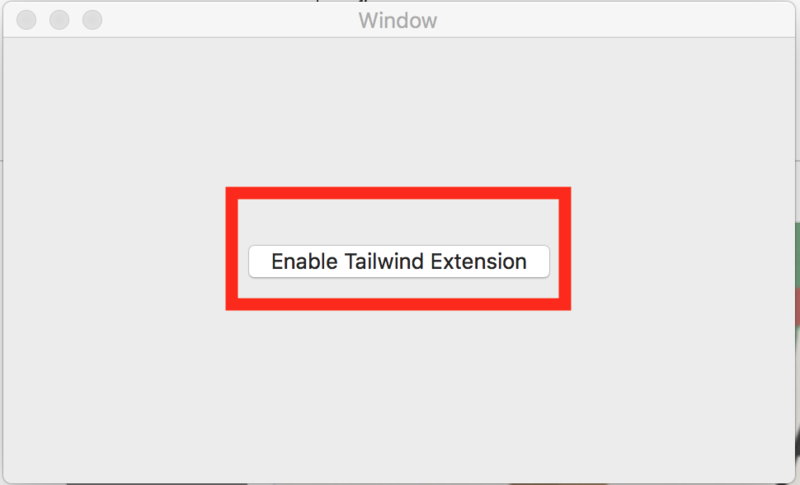 In the small window that pops up, click Enable Tailwind Extension. This will add the extension to Safari. 4. You should be shown the Extensions preferences in Safari. 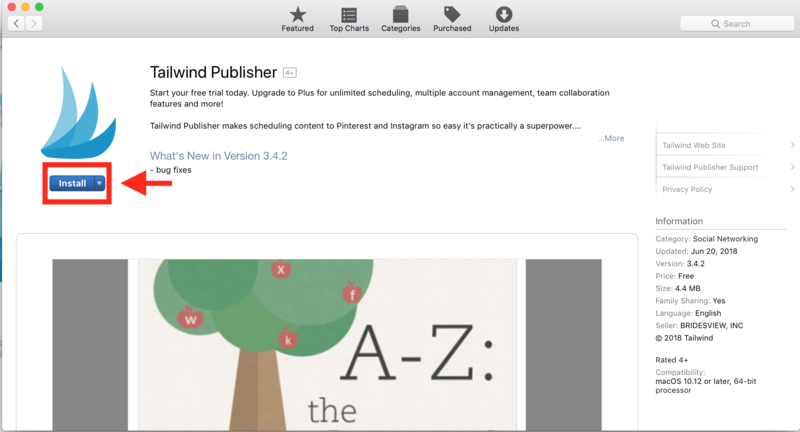 Make sure that Tailwind Publisher is checked! 5. All set! Your new extension for Safari is now installed, and you'll find it at the top left of your browser, and whilst hovering over large images!